SPECIM is the world's leading manufacturer of hyperspectral imaging cameras. SPECIM provides full hyperspectral systems for a wide array of applications including medical research, precision agriculture, industrial, environmental monitoring, mining and mineralogy, as well as military/defense. 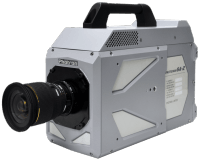 All SPECIM hyperspectral camera products have outstanding image quality with excellent light throughput, leading to speed and high performance. 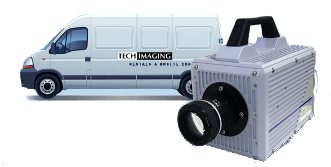 SPECIM hyperspectral imagers are designed for applications ranging from precise color measurements to advanced chemical imaging. InfraTec high-speed infrared cameras with high frame rate technology and short exposure times, have made possible the development of high performance infrared cameras for use in a wide variety of demanding thermal imaging applications. These infrared cameras are now available with spectral sensitivity in the mid-wave (MWIR) and long-wave (LWIR) spectral bands. 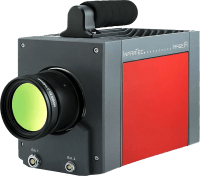 InfraTec offers a wide range of professional and universal infrared camera models. These include the stationary and mobile universal and professional cameras of the camera series VarioCAM High Definition and VarioCAM HDx. Their detector formats range from 640 × 480 to 1,024 × 768 IR pixels. We offer a variety of High Speed camera accessories from lenses, illumination, and triggers. All of our pre-owned equipment has gone through Tech Imagings' rigorous 30-point inspection. Prior to sale, all camera equipment will be returned to the factory to get a final seal of approval as well as receive any appropriate firmware upgrades. This gives you the peace of mind that all equipment, new or pre-owned, will be in fully functional condition. Some of our equipment may have minor scuffs or scratches. Any defects on any of our pre-owned equipment is merely cosmetic. High Speed Legacy models are still a good choice for the consumer with lighter needs or smaller budgets. High quality brands such as Photron and AOS are available, in a wide selection.